RS. 47 - 1.45 Cr. 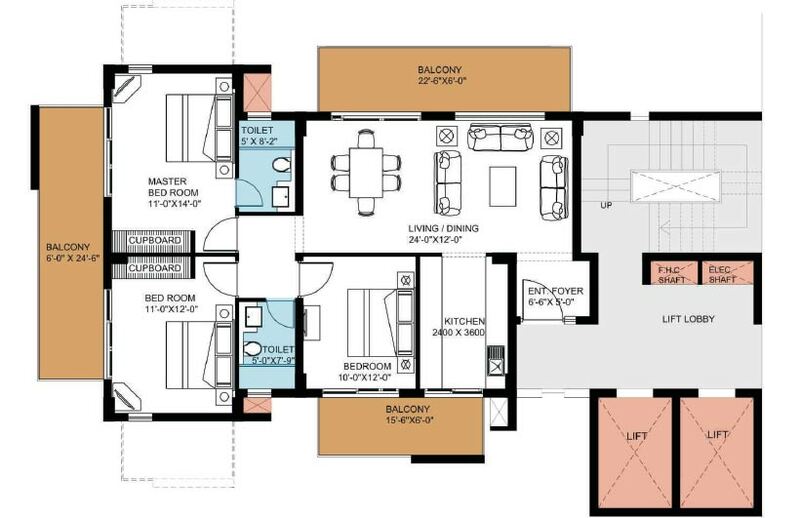 3+1 Bhk 2257 Sq.Ft. 88 - 1.10 Cr. 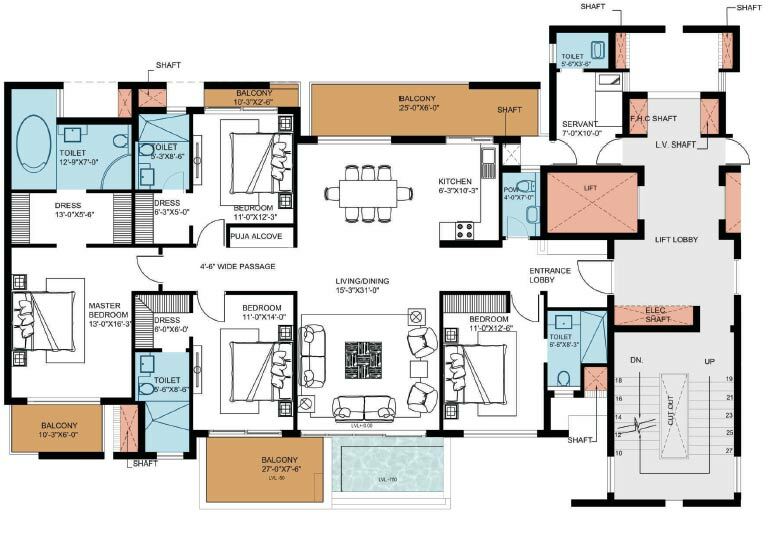 3+1 Bhk 3080 Sq.Ft. 1.25 - 1.45 Cr. 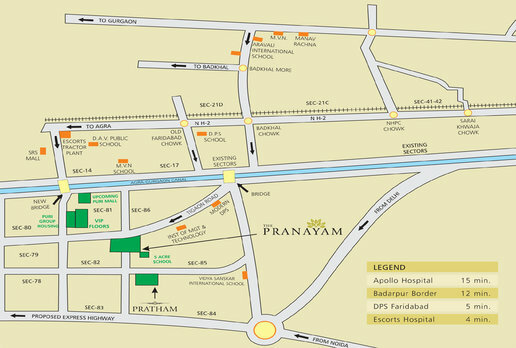 Puri Pranayam one of the most renowned residential project which has been launched by Puri Constructions. 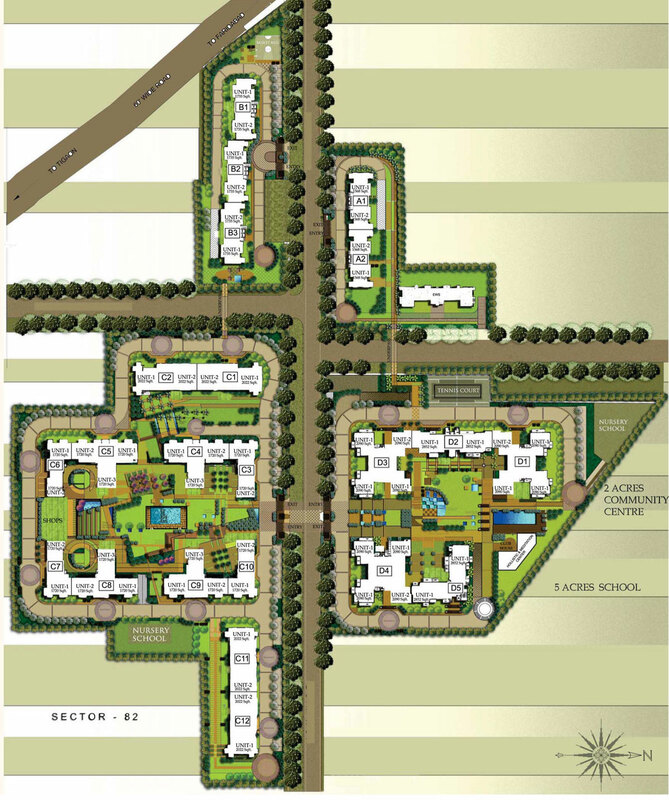 This project was developed at sector-82-85 of Faridabad. The project spreads across 20 acres of land which has been launched with so many features and facilities. The project spreads across 20 acres of land that has been designed by award winning world famous New York based company. The project PuriPranayam brings world-class life-style to the residents. 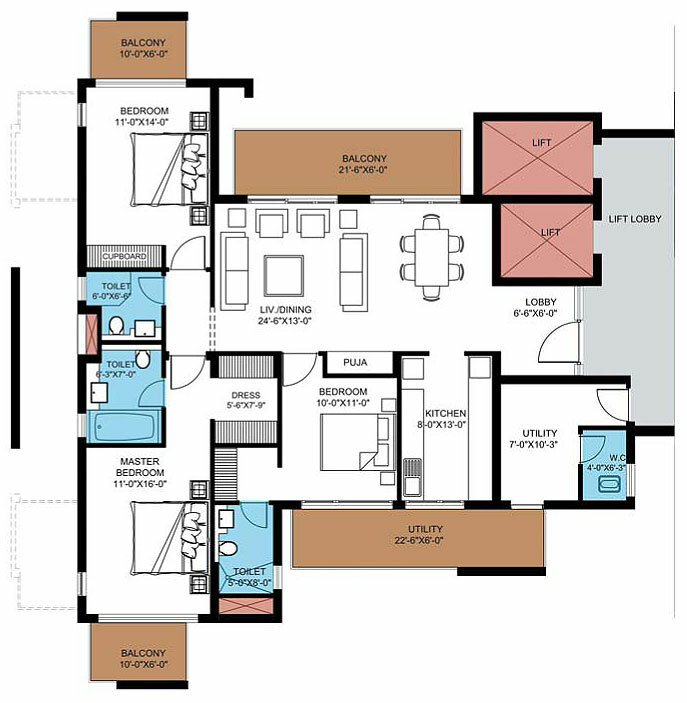 There are variant area sizes and residential forms that include 3BHK, 3BHK along with servant room and 4BHK along with servant room in the area range of 1693 sq. ft. to 3080 sq. ft. area respectively. The possession of the project has been handed over successfully. Apart from this, you will be having centrally air-conditioned lobby with each tower that is comprised with seismic 5 construction and aesthetically striking interiors and exteriors. More, you will be having advanced living experience. When it comes to location benefits of the project, you will find Apollo hospitals is just fifteen minutes’ drive from the residential complex. More, there are three renowned schools, Shri Ram Millennium school, Aravali International school are located on just walking distance. The project is located within close proximity to 2 acres community centre, 4 acres international school and shopping centre are just adjacent to the plot. 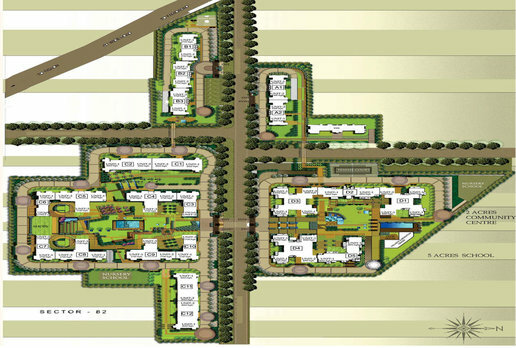 More, you will reach sector-14 of Faridabad which is a posh area of Faridabad. PuriPranayam is strategically placed on 45 meter wide sector road. You will have prominent hospitals, schools, educational institutes, shopping malls and other recreational centres within close proximity to the project’s location. More, you will have sitting lounge, mini club, play area for kids, restaurant with bar, card room, meditation and yoga hall, fully-equipped gym, 24 hours power backup, 100% power backup and round the clock security etc. Greater Faridabad has become a perfect blend of rich class people and middle class people as there are many super luxury and non-luxury projects that suit to various income segments of people. This area is an affordable residential project that is a blessed living for a middle class segment. On the other hand, when it comes to modern-day features and facilities the project is equipped with various amenities and facilities that make our life truly amazing. Apart from this, these huge residential societies have been developed by renowned developers across India. These societies have been developed in such a way that residents can get all the daily life necessities within close proximity. For instance, swimming pool, club house, gymnasium, health care centre, medical facilities, play zone for kids, lawn and park area, huge lush green area, shopping complexes and market hubs. 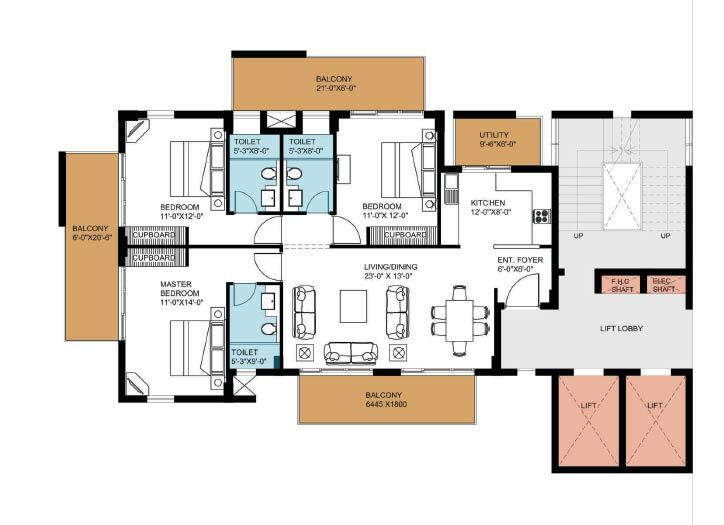 Super Area 1693 sq.ft. 1857 sq.ft. 1874 sq.ft. 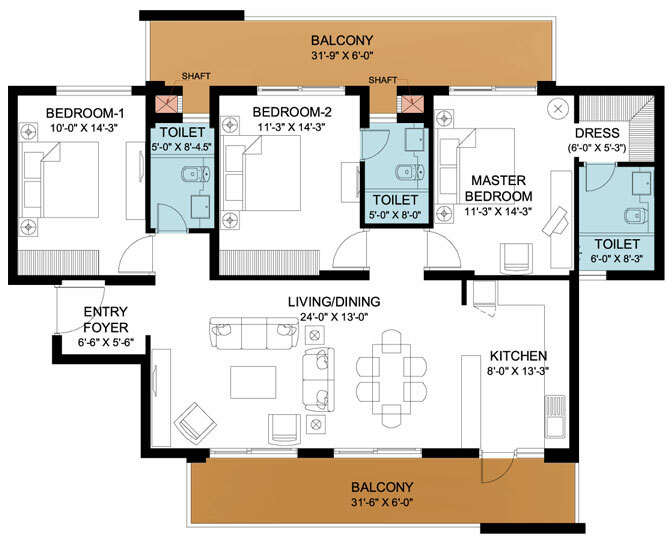 2184 sq.ft. 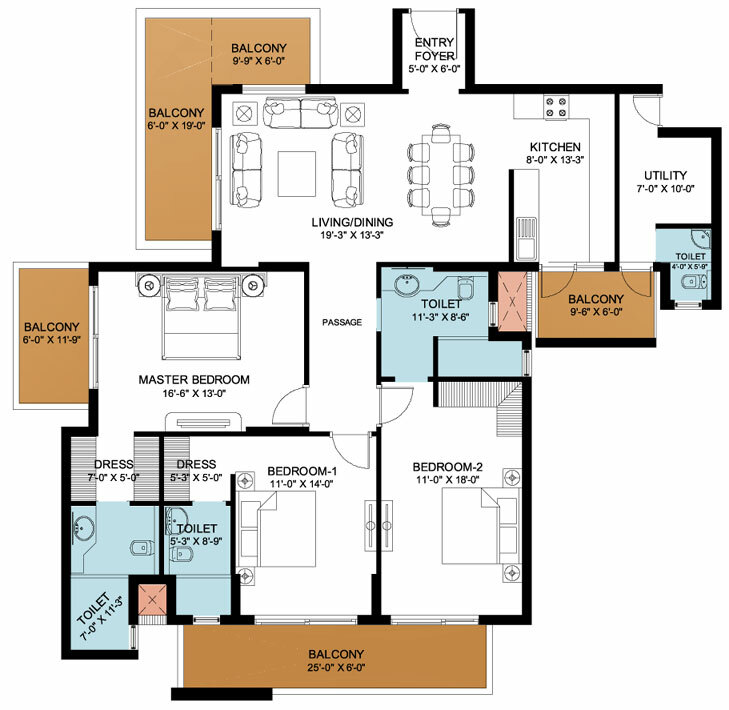 2257 sq.ft. 3080 sq.ft. 68 - 72 Lacs 72 - 83 Lacs 70 - 85 Lacs 83 - 90 Lacss 88 - 1.10 Cr. 1.25 - 1.45 Cr. Copyright © 2017 www.puripranayamfaridabad.in All rights reserved.